There are two disparate views of our large and growing public debt. 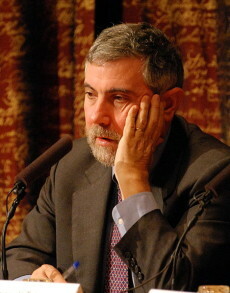 Nobel Laureate Paul Krugman, in a recent International Herald Tribune editorial “Cheating America’s Children” (March 30-31, 2013), considers those who have been worrying about our burgeoning public debt as “Chicken Littles.” Chicken Little, you may recall, is hit in the head by an acorn and subsequently runs about proclaiming that the sky is falling. Professor Krugman and his Keynesian colleagues pooh-pooh the burden of the debt, now standing at $148,000 per taxpayer, and urge running it up even faster. I’d like to dub these worry-free individuals the “Alfred E. Neumans.” Alfred E. Neuman of Mad Magazine is famous for his slogan, “What, me worry?” So, it’s the Littles versus the Neumans. Let me briefly address Professor Krugman’s main arguments for being a Neuman. “It’s essentially money we Americans owe to ourselves.” This is a line out of the introductory economics texts of the 1960’s. It was wrong then and it is wrong now. If I owe myself $10, I have a $10 asset (the claim on myself) and a $10 liability (the debt to myself). In such a case, I can merely tear up the debt without any consequence. I hope Professor Krugman isn’t suggesting we tear up the public debt. What would the Chinese and Japanese think, not to mention the retirees and banks that hold the debt? It is silly to say we owe the public debt to ourselves. Taxpayers owe debts to bond holders and these groups are quite different. Since we cannot tear up the public debt, we must make payments towards it. This requires placing taxes on the 50 percent or so of families who actually pay income taxes. These taxes and their corresponding tax rates produce inefficient distortions affecting a multitude of decisions including work, savings and retirement. “Deficits would indirectly be making us poorer if they were leading to either big trade deficits, [or] increasing our overseas borrowing. 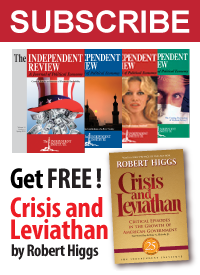 But they aren’t.” I guess Professor Krugman hasn’t spent much time looking at the data. Last year we imported $539 billion more in goods and services than we exported. The cumulative trade deficits over the past 11 years—during the period of whopping budget deficits—is approximately $6.3 trillion. In the period 1992-2001, our federal spending budgets were much closer to being balanced and our trade deficits much lower—about two-thirds lower. We pay for the excess of imports over exports by selling capital assets (financial assets—both private and public—such as bonds and stocks and also such things as land). To say that we have not had big trade deficits and haven’t increased our foreign borrowing during our deficit spending binge is clearly wrong. By Professor Krugman’s own criteria, our deficits have made us poorer. The sky is unlikely to fall on America as it has on some other countries. But the damage from our bigger public debt and bigger government has been done. Expect slower growth and higher unemployment. That’s really how we’ve cheated America’s children.